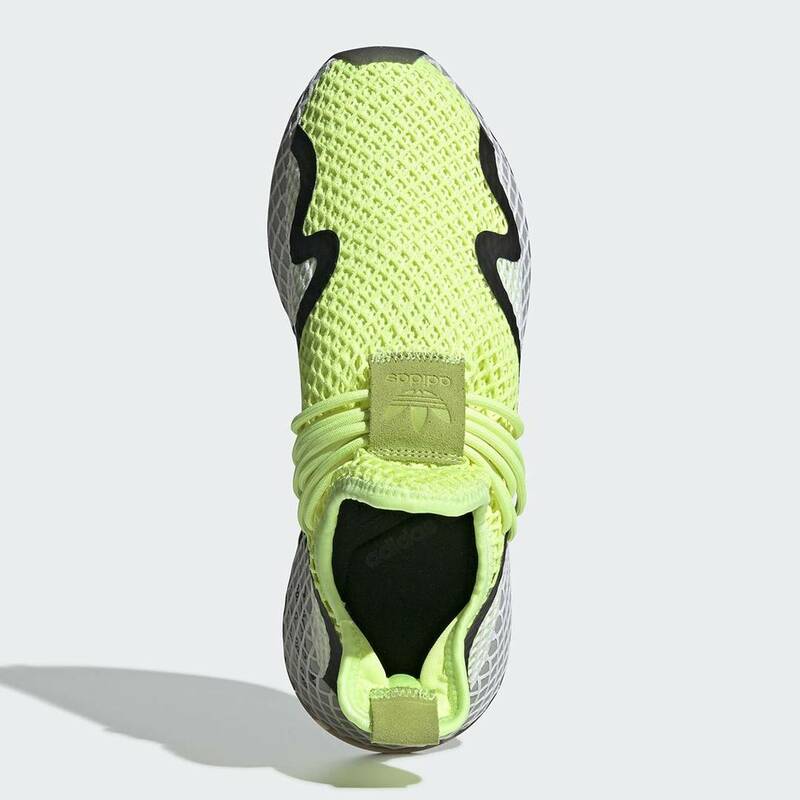 Adidas has plans to release a new "Volt" colorway of the Deerupt S, the sequel to the unique looking Deerupt running sneaker. 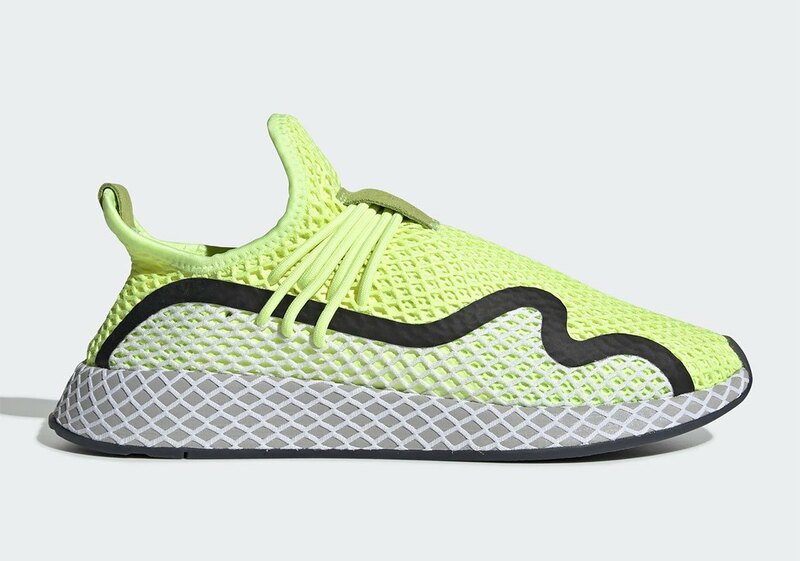 Similar to the first rendition, the Deerupt S comes equipped with a netting that covers the entire silhouette. 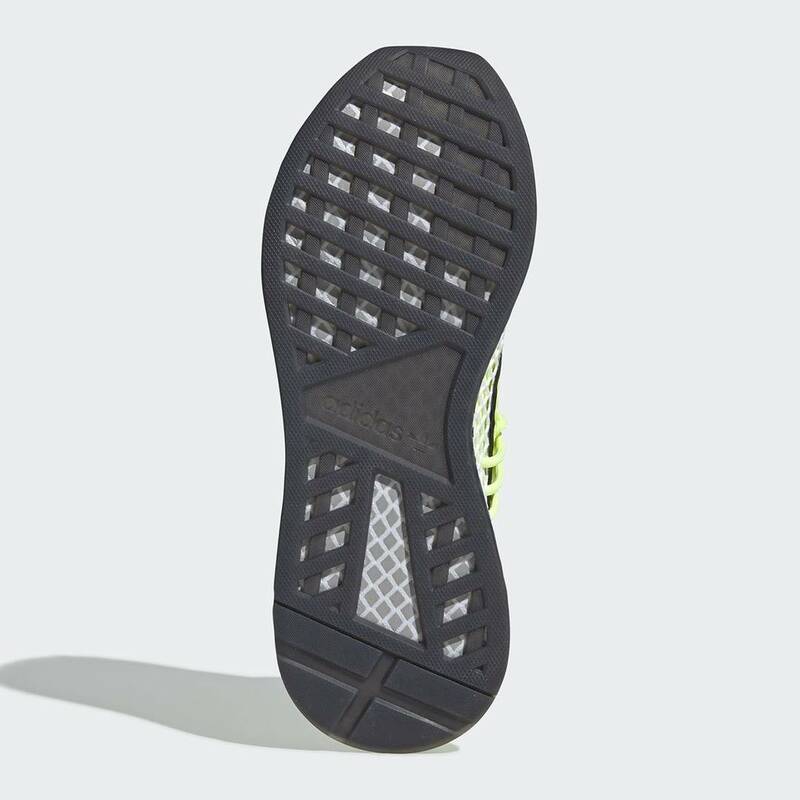 However, Adidas has added some interesting design elements, giving the sneaker a whole new vibe. 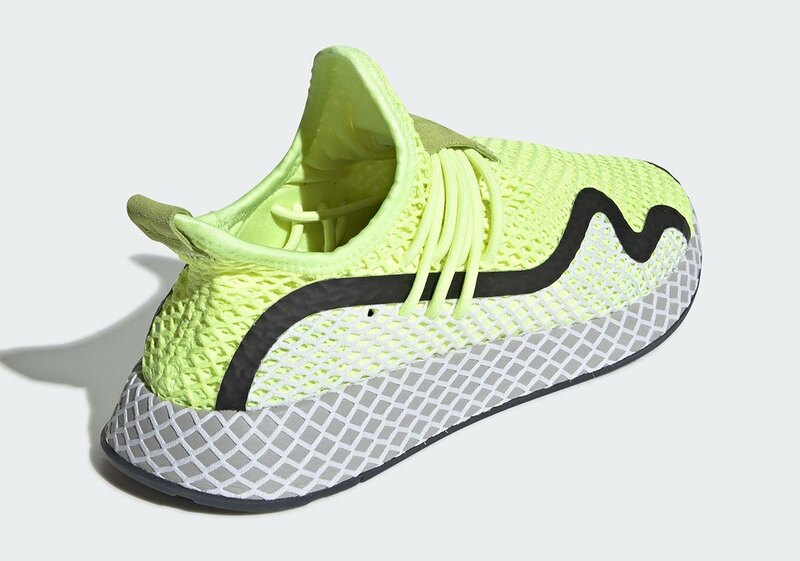 As described by Adidas, the Deerupt silhouette "is defined by a standout minimalist design." The kicks are highlighted by a mesh webbing that covers the upper and midsole, as well as a flexible, collapsible upper that makes them easy to pack for your vacation or business trip. The lightweight sneakers are built to deliver a snug, comfortable feel. 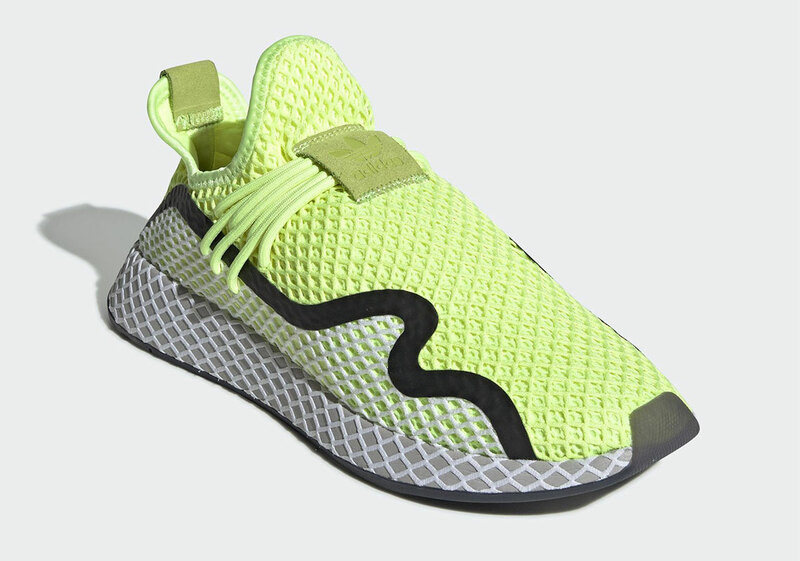 These are all elements that fans of the original Adidas Deerupt can expect in the latest iteration - the Deerupt S.
A release date for the upcoming Volt rendition has not yet been announced, but it is believed the kicks (priced at $110) will be available in the coming weeks.